These earrings are from the squid family - I made several pair in this style with all different stones. Here's a pair made from golden green tourmaline with fool's gold. 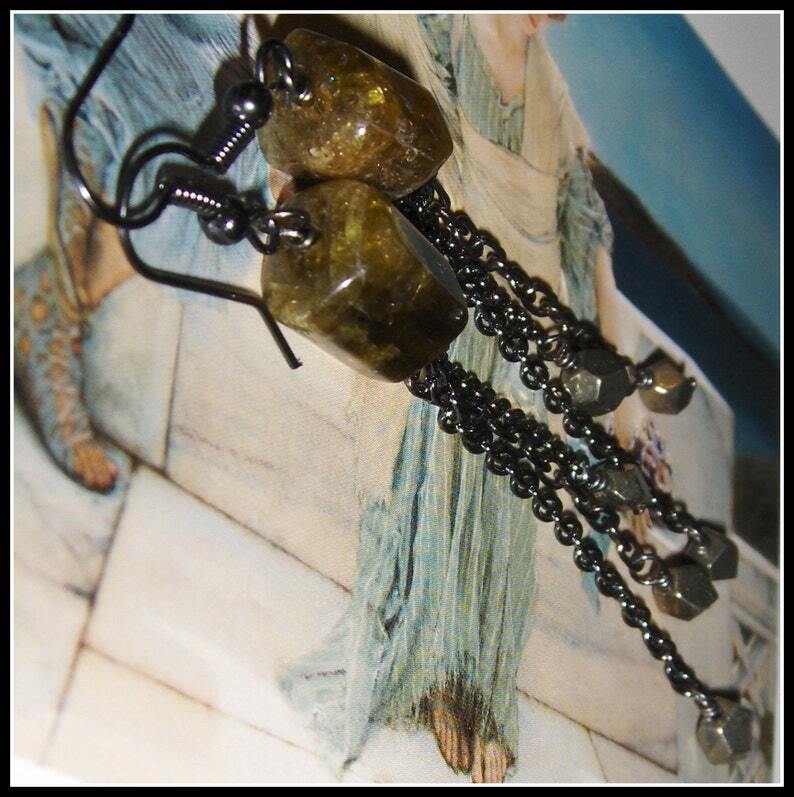 These earrings are about 4" long and the little pyrite nuggets are perfectly faceted. The tourmaline is about 10mm x 12mm. Dravite is the brown Tourmaline (it ranges in color and this is a greenish golden brown), and is an excellent stone for enhancing objectivity, tolerance and understanding. It is also used to bring, calm, hope, relief of anxiety and stress, a sense of being secure in your world, and serenity. Dravite is said to have protection energies, especially protection of the home. In crystal healing lore, Dravite is said to help with ADHD, ADD, the immune system, animal healing. Dravite is related to both the root and sacral chakras.